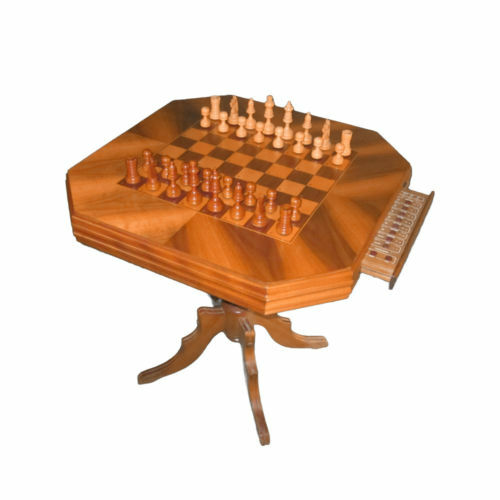 The Chess-Master Table is an iconic chess computer. 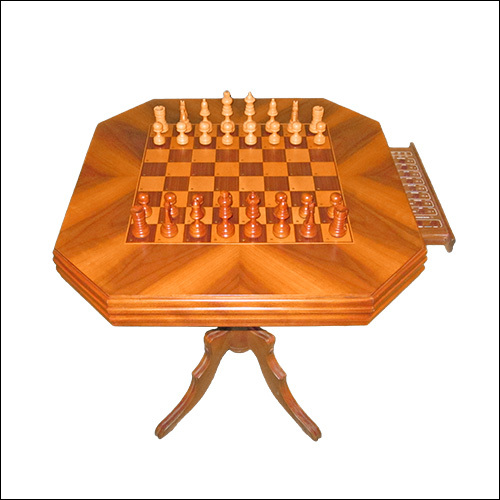 The table itself is beautifully crafted, sturdily built and the chess computer components are well integrated, all accomplished with great skill and attention to detail. 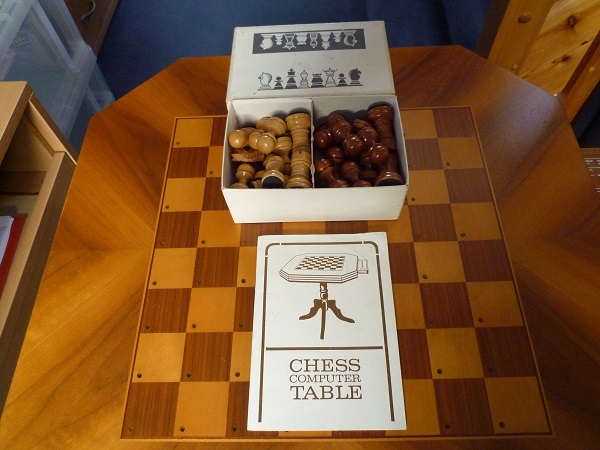 Without doubt an exceptional luxury product and a joy to play at chess. 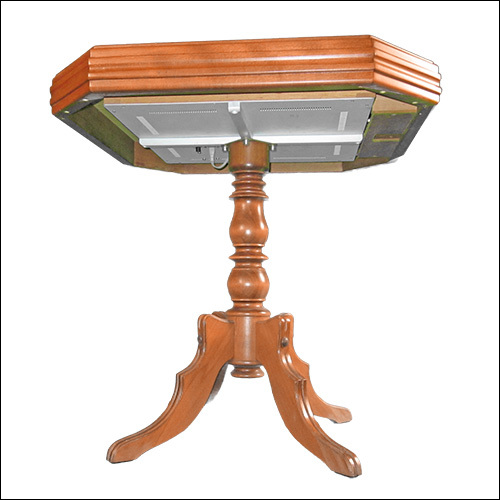 However what helps lift ‘The Table’ to iconic status is its rarity and history. 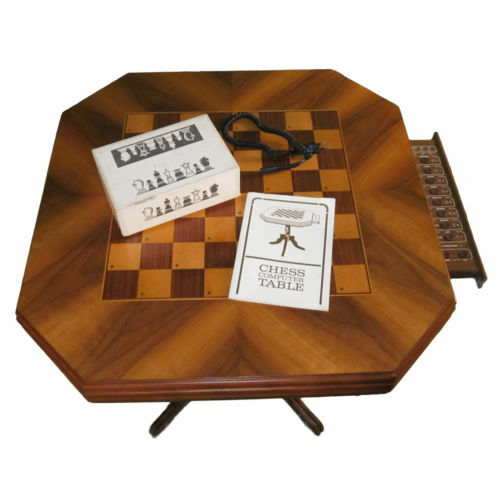 “But the real jewel among the chess computers [of the GDR] was the Chessmaster chess table! 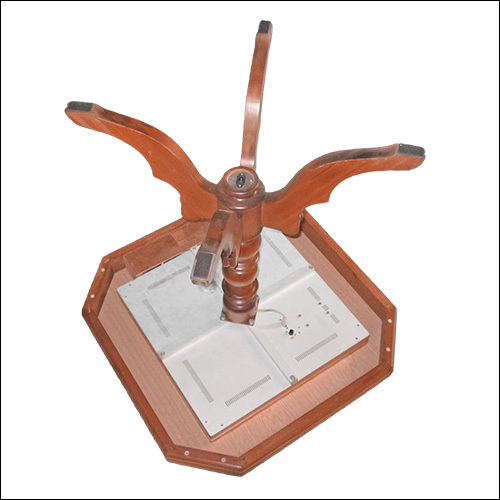 Only about ten copies of this device were produced and they were mainly issued as state gifts. For example, Cuba's revolutionary leader, Fidel Castro, was handed a copy out of socialist brotherly love by Erich Honecker [Head of State of the German Democratic Republic from 1976 to 1989]. He [Castro] should have been happy. 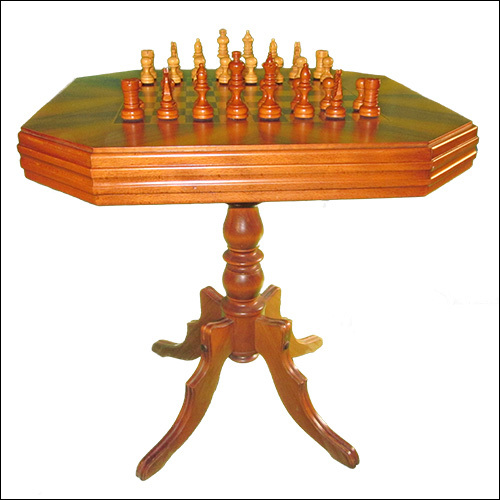 Beside the beautiful wooden table there were hand carved figures and the technical interior life and the program of the old Chessmaster (not the Diamond). 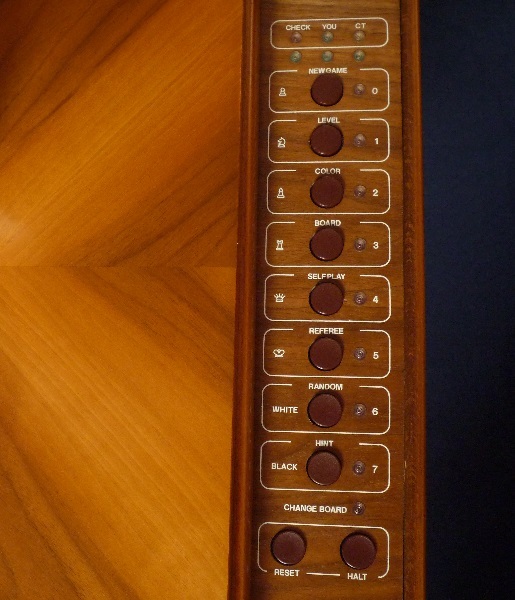 Surely this Chessmaster Table is one of the rarest and most eye-catching computers ever built. 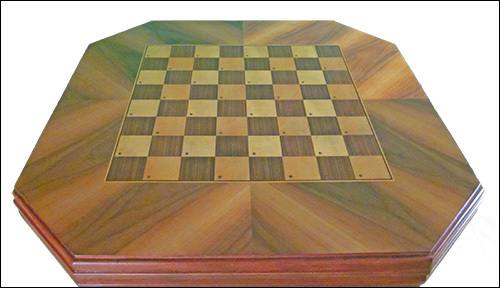 ‘The Table’ signals checkmate with the red, green and yellow LEDs. The manual is in German despite the English title. 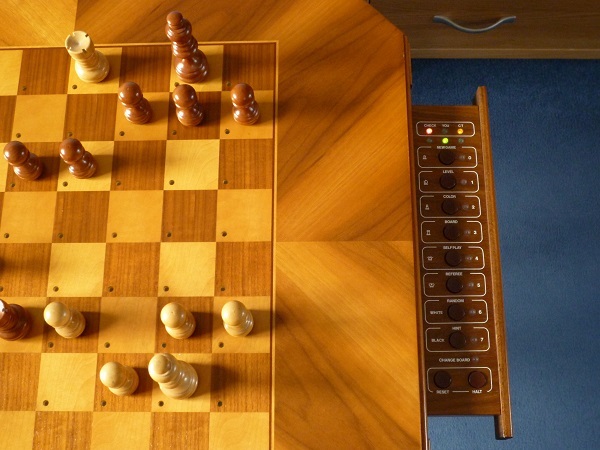 The Hall Sensors below the chessboard with magnets in the chesspieces plays very much like a normal magnet/reed switch system. 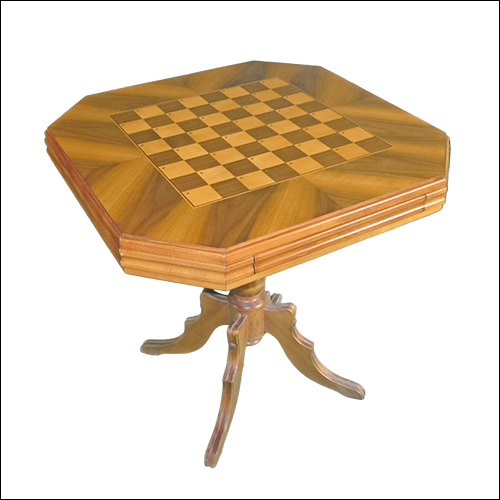 English key labels rather than German must reflect an original intention to try to export the Chess-Master, and perhaps also reflects the later use of the Tables as state gifts to foreign leaders. The two green lights show the Table is ready to start a game. all-East German product with a program written by Rudiger Worbs and Dieter Schultze. 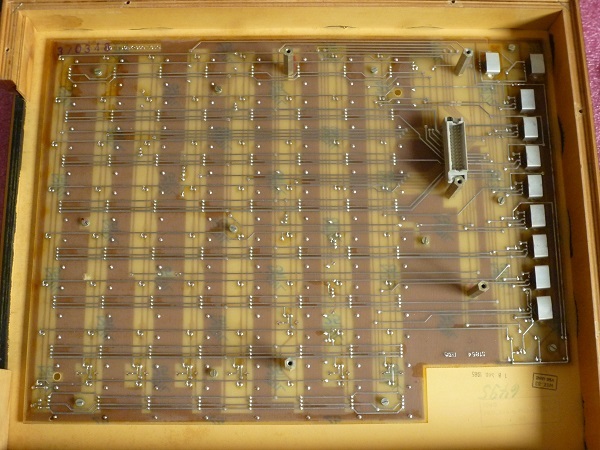 The processor used was the UB880, a Soviet Bloc clone of the Zilog Z80. 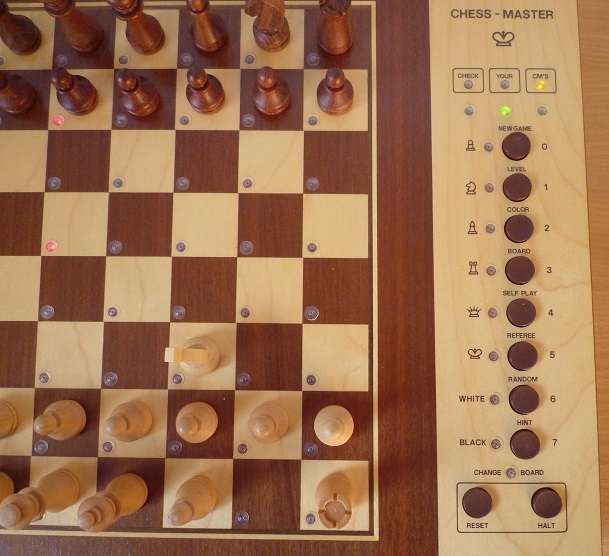 In the original Chess-Master (product reference G-5003.500) this runs at 2.5 MHz. 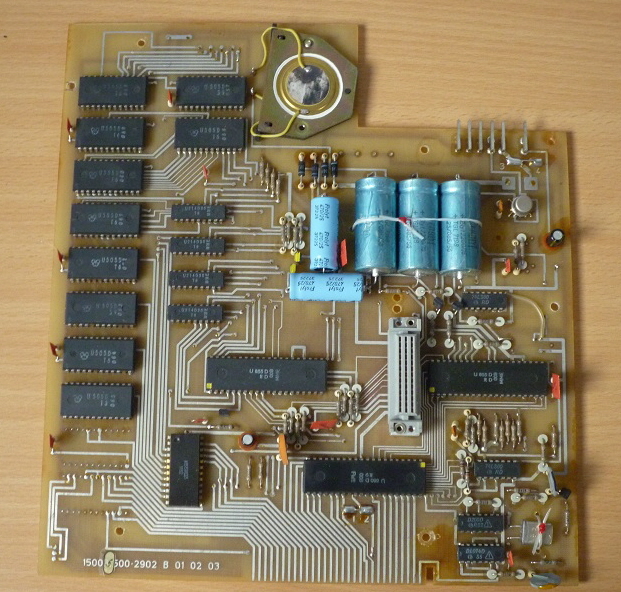 The following year a second version was released (G-5003.501) which runs at 4 MHz. There are no obvious external differences between the two versions. 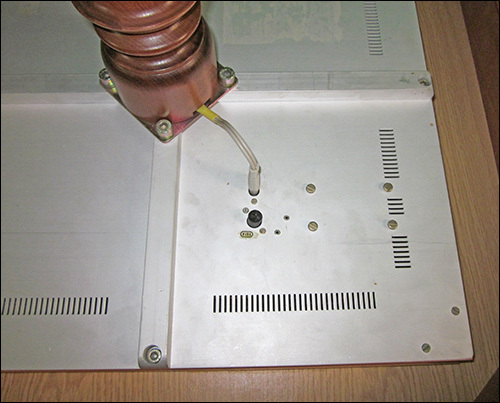 The Auto Sensory board is unusual in using Hall Sensors rather than reed switches. However in the normal way there are 64 LEDs, one per square, indicating the moves. 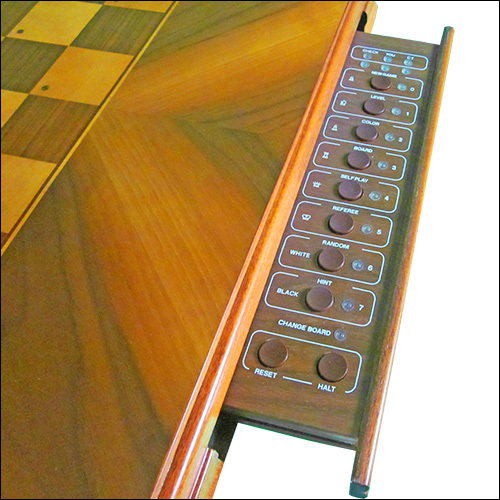 The Chess-Master has six game playing levels with an average response time from 3 seconds (Level 0) up to 8 minutes (Level 5), plus two Problem Levels which can take up to 12 hours. There is a Random setting which I believe chooses from Levels 0 - 3 for any particular move. 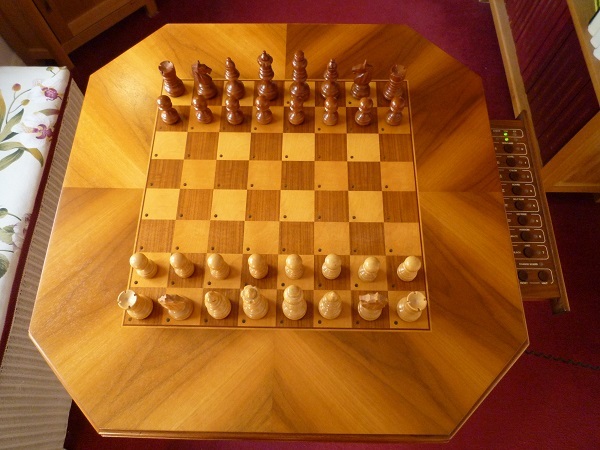 Schachcomputer.info estimates the original Chess-Master’s strength at 1100 Elo, and the Chess-Master Table at 1400 Elo though there is no explanation for the difference. 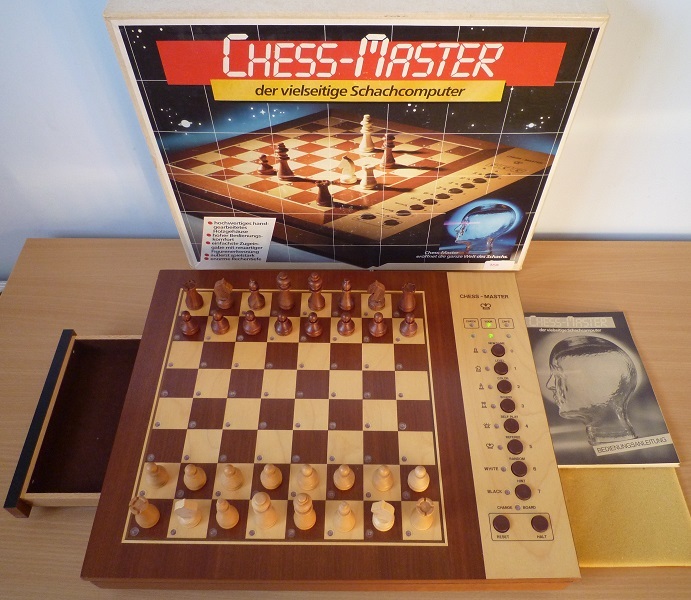 It is also assumed that the Chess-Master Table has the same electronics and chess program as the G-5003.501 version of the Chess-Master. This seems to be the case from my limited testing, but an Elo of around 1100 is more likely than 1400. The later Chess-Master Diamond has a rating of 1189 Elo on the 2017 Schachcomputer.info Active Chess list. 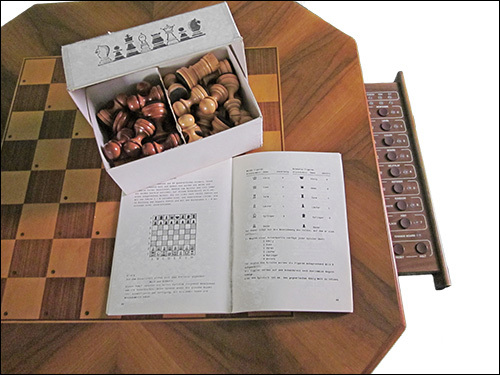 Notable features of the Chess-Master include a drawer to hold the chesspieces and the English key labels. 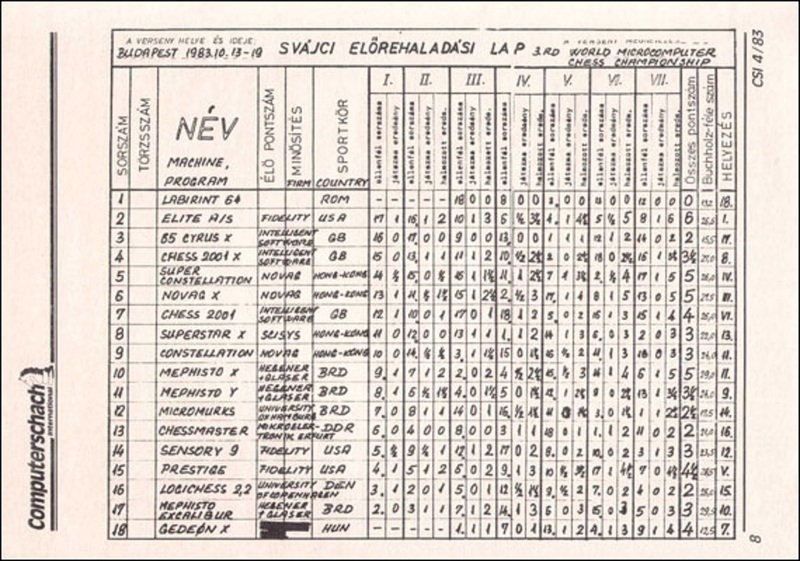 A Chess-Master (2.5 MHz) was entered in the 3rd World Microcomputer Chess Championships, held in Budapest, Hungary from 13th-19th October 1983. It finished 16th of 18, winning games against the two lowest scoring machines and losing five games to Novag X (strong program in a modified Robot base), Gedeon X (modified Fidelity CC Champion), Chess 2001 X, Mephisto Y (Excalibur) and Superstar X. All strong commercial programs of the day. A scoresheet of the event is shown (below) and a report can be read here (link). 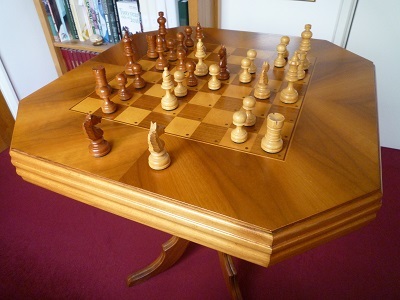 Below are some more pictures of my VEB Erfurt Chess-Master Table. 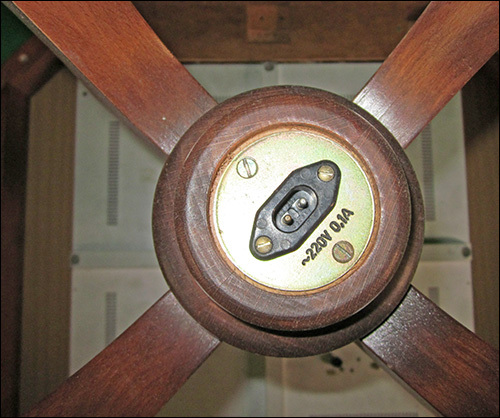 They were published in connection with an Ebay auction. 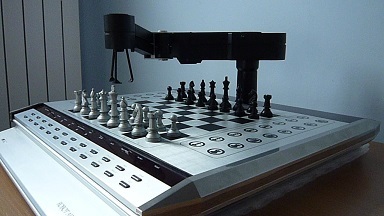 Finally a couple of Chess-Master Table games from a match against another rare bird, a Novag Robot Adversary. 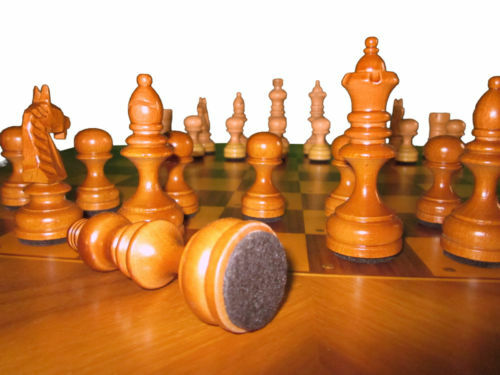 Using less time to think the Robot won all four games thanks to the Table’s more limited move horizon and its tendency to end up with rooks on the wrong files and/or a shattered pawn structure. There were times when the Table had middle game chances but could not see far enough ahead on Level 3 to take them.